The TABOO BAND is dedicated to bringing the music of Sade to a small intimate setting. Containing some of Orange County’s best musicians, the music is a reproduction of the jazzy singer’s Lover’s Live Concert. A full year in the making, with a full line up of professional musicians and yes, a top notch SADE impersonator. This fully choreographed show features two sets that makes music lovers fall in love for real. 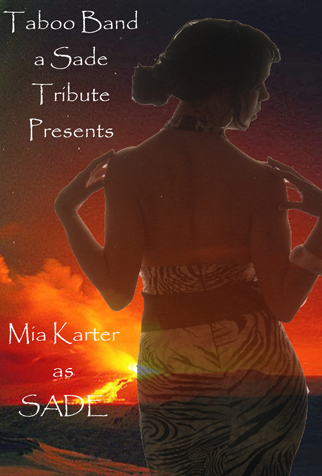 Don’t miss this amazing Sade tribute band!